Tombstone, Arizona was established in 1879 by prospector Edward Schieffelin after he discovered silver ore in the surrounding area. Within a few years, the town grew immensely, but so did the tension between the the ranchers, cowboys and lawmen. Because of this, there were many shootouts that resulted in death, possibly causing the town itself to be haunted. Not only do people witness apparitions in the many hotels and saloons of Tombstone, but they have also smelled cigar smoke and whiskey, heard voices, laughter and music, and had lights and faucets turn on and off with no apparent reason. Some have even had silverware go flying off the table! What keeps the spirits in Tombstone? Are they trapped? Or do they choose to stay where they passed from this life? 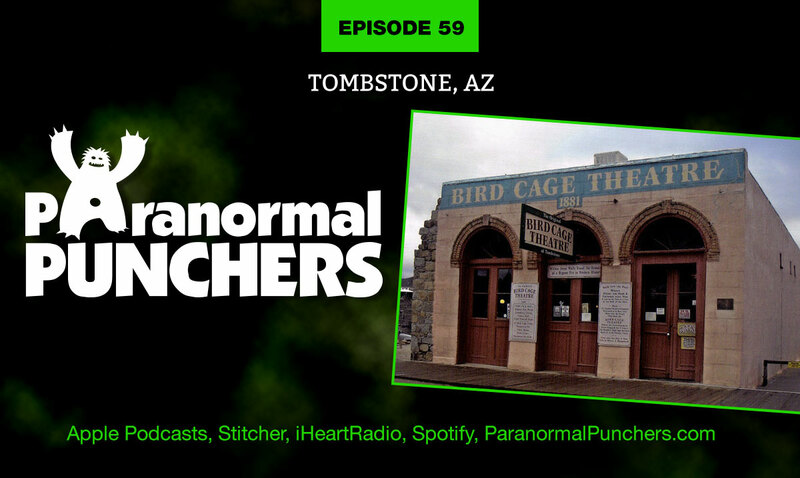 Join us on episode 59 as we chat about Tombstone, Arizona and it’s many haunted locations!